The Kwik-Ship program, with shipments in 2–4 weeks—includes options to meet customers’ needs for immediate reliability improvement. Both the NOVA™ Internal Voltage Sensing (IVS) accessory and the F4D recloser control are now available options in the Kwik-Ship program. 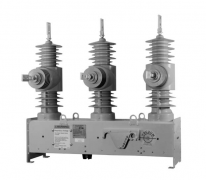 Other options such as the Form 6 recloser control, pole or substation mounting brackets, automation, and control cables remain available to meet customers’ specifications. Contact EMR for a Kwik-Ship quotation. To read the full details click here.